Have you ever wanted to design a piece of fabric for a special project? 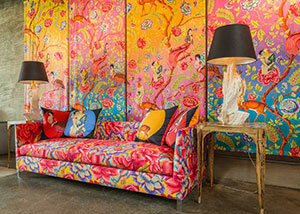 With digital textile printing, you can! 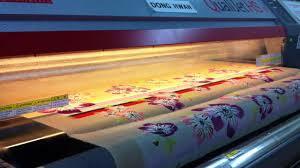 Digital textile printing is the process of adding colorful designs to many kinds of fabric by using digital inkjet printing technology. It offers fast paced results with visual impact. Unlike conventional printing methods, it enables your designs to be reproduced accurately and without the loss of subtle or intricate detailing. This course will introduce digital print for textiles adding colorful designs to many kinds of fabric by using digital inkjet printing technology. Throughout the course you will develop your own ideas using a variety of media sources, viz., drawings, painting or photography, as a starting point. You will subsequently manipulate your ideas in Photoshop before finally digitally printing your design onto fabric. On completion of this course, you will have a finished print of your artwork along with your digital creation on a scarf or length of fabric. Introduction of drawing tools: Knowledge of Essential Art Drawing Materials. Media, Material and Method-Drawing : Simple exercises for drawing assignments, Practise, Various Techniques. Understanding the quality of objects. Rendering the products. 2D Designs: Study of Visual Elements, Point, line Planes and shapes Understanding the colour tone, texture Form and space Principals of art design Understanding the colour value, balance, rhythm, proportion etc. 3D Designs: Study of basic 3-D Shapes and forms such as cubes, spheres and cylinders, constructed or molded in different medias like paper, card, soft clay, plaster, wire etc. Positive and Negative spaces.Shade and Light Study. Design, art and basic design. Exploration of material, media & techniques. Investigate the space, line of action, form , texture, light and color.